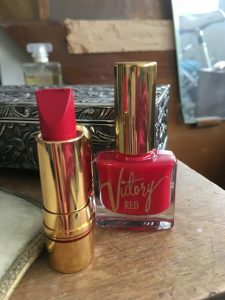 As I mentioned in the previous post, I’ve been a red lipstick lover for years. 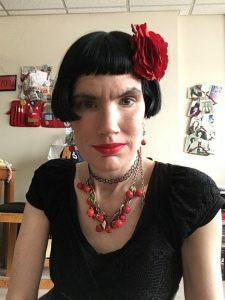 Last week I was doing a Google search for something 40s makeup related and a few of the links I went to mentioned Bésame Cosmetics. I had never heard of the brand before. Seeing as that I am a fan of all things vintage beauty I was immediately interested. 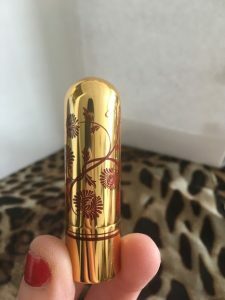 I checked out their website and was taken by the beautiful packaging and the variety of red lipsticks available. I was also interested to learn about the Agent Carter 1946 collection. Unfortunately, as commonly happens with me I was finding out about it a few months after the fact and it was mostly sold out. I did find the powder and eyeshadow palette on another site. (Those will be featured in future posts.) I’m gutted I couldn’t find the Sweet Dreams lipstick though. 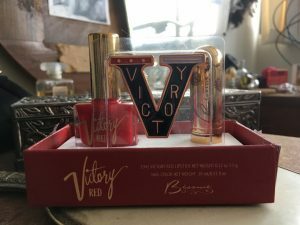 I also saw they had a special set with Victory Red lipstick and nail polish and a cool looking pin. I ended up ordering that and a Red Velvet lipstick. The packaging really is very pretty in person. 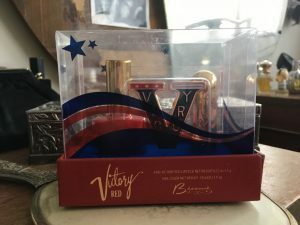 I had read a number of reviews of the color and was looking forward to wearing it. 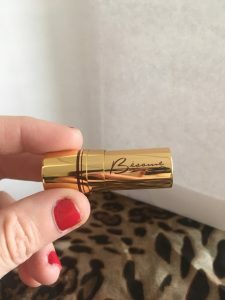 I was also slightly apprehensive because several reviews talked about the squared off shape of the lipstick being awkward to use and that the lipstick transfers easily. Once I put it on I knew I had nothing to worry about. I had been concerned that it would have too much slip or be greasy. I found instead that the texture was semi-matte as promised and felt like nothing on my lips. 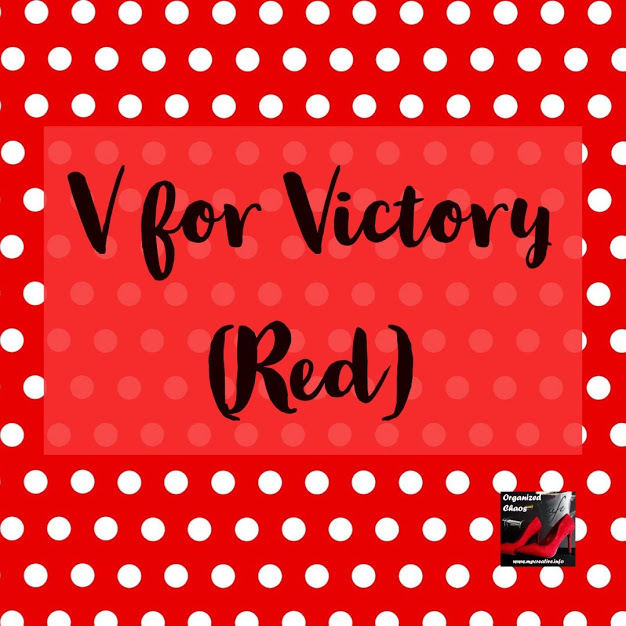 The color is a bright, true red that is somewhat blue based. I thought it looked very good with my fair skin. I followed the suggestion to apply, then blot, then apply again. I found that left a nice finish with little transferring. (There was still some so if you are used to super matte or ultra long wearing lipsticks you might be displeased. I personally don’t worry about that or care if lipstick transfers a little.) It wore well for the four hours I had it on, even after being out in a snowstorm. 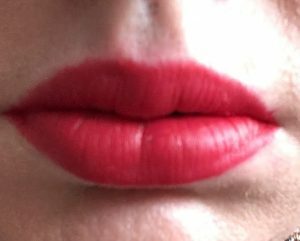 I didn’t try eating with it on because I generally remove my lipstick before eating or drinking because I don’t like eating lipstick. Overall I am extremely happy with the color and wear and think this will be one of my go to reds.